Der Bat.-Châtillon 155 58 ist ein französicher Selbstfahrlafette der Stufe 10. Ein Versuchsprojekt für eine Selbstfahrlafette, das einige Elemente des amerikanischen M47-Chassis verwendete. Im Vergleich zum Bat.-Châtillon 155 55 hatte das Fahrzeug einen anderen Turm und besaß ein Magazinladesystem. Nur auf dem Papier. Like the Bat.-Châtillon 155 55 the Bat.-Châtillon 155 58's gun has a 360° traverse making the vehicle very flexible in terms of positioning, as well as very quick to aim when changing its focus of fire. It has a 4 round drum auto-loader, giving it an advantage in rapid strikes on an exposed target before it retreats to cover. As with most French tanks, it is quite mobile, making counter battering this vehicle nearly impossible if played carefully. 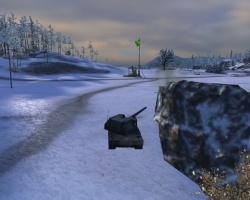 To balance these abilities, its main gun is only a 155mm howitzer, which does very poor damage compared to the T92, Object 261, Conqueror Gun Carriage or G.W. E 100. 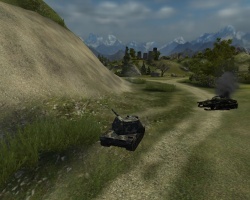 While it can't dish out as much damage per shot as the other Tier X artillery, it can defend itself well due to its fully traversable gun and good mobility. Be aware that the magazine reload time is extraordinarily long. Still, the weak gun doesn't make this artillery underpowered, a good direct hit from this gun can easily cripple an enemy tank. Der Bat.-Châtillon 155 58 markiert das Ende seiner Linie französicher Selbstfahrlafette. 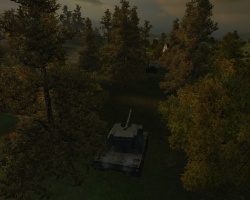 Lowest damage per shell of the Tier 10 artillery, along with the lowest splash. 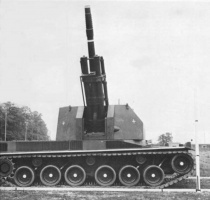 The 4 rounds provided by the auto-loader coupled with speed, flexibility, and an accurate gun mounted on a turret make this SPG a blast to play. While the 155 58 may not the hardest hitting of the tier 10 artillery pieces, it is certainly the most flexible and most maneuverable. A good tactic to utilize when playing this SPG is to turn your hull perpendicular to your current firing arc. This allows you to move side to side in relation to your line of fire, making it substantially more difficult to be hit by counter-battery fire, though at the expense of your clipping speed. The reload on the autoloader for this SPG really is quite horrid, it takes 73 seconds to load a magazine if running a full BiA + Food crew. That said, once you're loaded, you can really keep some heads down. The speed at which you can fire is incredible, being capable of firing an entire clip in just under 20 seconds, which allows you to put some substantial hurt on the enemy. However, it has nearly no splash, so firing right at the reload in the clip is inadvisable, as your shells will most likely miss. If the enemy attempts to counter-battery you, you are easily spotted if you remain in one location to fire your clip at maximum speed, but moving after each shot pushes your time to fully aim above 10 seconds, greatly reducing your effective damage output. This SPG does not see much clan wars use except in very specific circumstances where its extreme mobility is required due to its 73 second clip reload, which gives your enemy plenty of time to determine the outcome of the game while you have no influence on it. Following Lorraine’s project of the self propelled howitzer, Batignolles Chatillon started the work on the self propelled artillery vehicle with a fully rotatable turret. 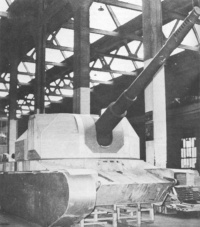 Main feature was to be drum based automatic loader system installed in the turret. In late 1958 all development was cancelled and project was abandoned with only a one prototype built.